Saint Louis, Missouri - The assault against dog breeders continues as Wayne Pacelle, CEO of the Humane Society of the United States (HSUS) releases his continuation of propaganda and lies in his most recent blog entitled, "The Horrible Hundred 2015." Once again, Pacelle turns to the disturbing tactic of singling out dog breeders and publishing their names, their addresses, and breeding establishments all obtained from the agency of United States Department of Agriculture (USDA) who willingly relinquished the private information and inspection photos to HSUS. The photos given to HSUS for their report are taken out of context in order to support exaggerated claims of abuse to coerce breeders to close up their breeding operations. Pacelle and HSUS lead the way in betraying well-intended Americans into believing that their focus is on the unscrupulous dog breeders, when the opposite is true. HSUS and their ideology opposes animal breeding of any kind and especially those who do so for profit. When Pacelle says HSUS wants to eliminate "puppy mills," what he really means is that they want to eliminate ALL dog breeders including the ones who follow the law. Mark Patterson, CEO of The Cavalry Group stated, "HSUS is a multi-million dollar animal rights extremist group which raises money to promote increased regulation on animal ownership and enterprise which handcuffs breeders and forces them out of business while rescues and shelters are exempt from abiding by the same rules. -- That's not increasing animal welfare standards, that is purely crony capitalism favoring one group, while punishing another." The Cavalry Group is a member based company working to protect and advance the Constitutional and private property rights of law abiding animal owners, animal related businesses, sportsmen, and agricultural concerns legally, legislatively, and culturally nationwide. Many people are aware of this anti- agriculture agenda that has been brewing in America for many years. This is not anything new, but it is becoming more and more evident everyday. 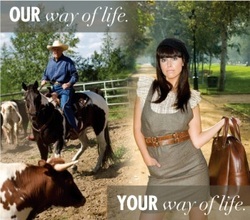 The HSUS (Humane Society of America) and PETA, and other groups, are a big part of this. They want you to think they really care about dogs, cats, animals - but this is not true. Underneath it all, they do not want us to have pets. Honestly, I cannot understand it. I am going to post some links to sites, to articles, and things for you all to read, so that you can be informed. Many people are made to feel that they have to get a puppy / dog, from a shelter or a rescue place. There is nothing wrong with doing that, if that is what you want. But, if you think that is what you "have" to do, it is not. I want to tell you about a Rescue operation a few miles from us. They actually buy puppies from breeders. Then, they take them to St. Louis, set up in front of Pet Smart, or several different locations, and sell these puppies - falsely representing them as being abandoned, or whatever. I helped a lady do her taxes, whose daughter I taught when I was a 2nd grade teacher. She had sold every puppy that was born last year, to this very same rescue. 150.00 each is what the rescue paid her. No, it did not pay for all the shots, and medicine, and food for her adult dogs. No, it was not good for her. But, it was good for them. They take those puppies and sell them for much more. Rescue groups are money making businesses. Also, in another town, not far from us, they have a monthly dog auction. USDA breeders take their puppies and adult dogs there to sell. Sometimes, when selling to pet stores, a puppy is rejected for any number of reasons. So, they will then sell it at an auction. There is a vet there that checks them all out, and puts down anything that she notices about the puppy or adult dog, that will be sold. My point in telling you this is, there are people who go there every month, traveling several hundred miles from rescue and shelter groups. They buy dogs at the dog auction!! Why??? Why, do they want more dogs to feed?? Why do they come to buy dogs???? Simple reason - they buy them to sell them at a much higher price. Okay, so you think you are doing a good deed by going to a rescue place, or a shelter, to get your next pet. This is what you are being told to do, day and night on the TV. Now, hey, all dogs need a good home, and if you find your next pet / family member at a Rescue place or at a Shelter, then that is not a bad thing at all. I am only wanting to inform people that this whole mindset, is not all that it is made out to be. As Christians, believers and followers of Jesus Christ, we are not going to get all worried about what is going on in our country - though, it is a bit frightening. We have our faith and trust in the Lord, and not in politics. Several years ago I noticed a trend. I’d be on the beach with my dog Betty when she’d meet another dog. They’d play and I’d get chatting with the dog’s owner. When I’d ask what kind of dog it was, the owner would tell me it was a "rescue dog." 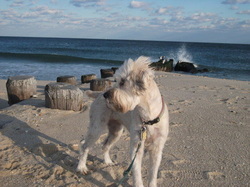 Did some doggie version of the Titanic sink off the Jersey Shore? Nope. It turned out this was a new term for what was known as "a mutt from the pound" when I was a kid. It was also around that time that I first saw the term "puppy mill." It was on a billboard I saw off the Pennsylvania Turnpike as I was driving to visit a friend of mine who owns a farm in the Amish country. When I got there, he told me that many of the Amish raise dogs along with their cattle, pigs and chickens. The puppies in question are soon sent off to become pampered pets. The other animals are sent off as steaks, chops, and wings. So what were the activists upset about? It turns out they were upset that the Amish treated the dogs like animals. That campaign didn’t make any more sense to me than the practice of calling pound puppies "rescue dogs." The other day I got a call that tied it all together. It came from a Morris County animal enthusiast by the name of Barbara Reichman who is a member of the National Animal Interest Alliance, a group that advocates for animal owners’ rights, as opposed to animal rights. Reichman’s call followed a column I did last week describing how armed officers of the New Jersey Society for the Prevention of Cruelty to Animals had handcuffed and hauled off to jail an 84-year-old Hunterdon County woman who ran a shelter. The SPCA then took control of the shelter and its millions of dollars in assets. As you can see, there’s a lot of scratch in the animal business. That’s why the many groups involved often fight like cats and dogs. And it’s money that links the animal "rescue" movement with the effort to shut down those puppy farms, said Reichman. She said the activists want to shut the breeders down so there will be less competition for their pet-trafficking operations. The people running animal shelters found out some years ago that they had a problem, Reichman said. "There was a very successful campaign to educate the public that if you are not intent on breeding, you should spay or neuter your pet," she said. "That campaign has worked so well that the shelters in the Northeast generally don’t have any puppies anymore." The shelters could have declared victory and shut up shop. But in 2005 a new field opened up, said Reichman. "It started innocently enough with Hurricane Katrina," she said. "There were so many animals loose from the storm that people all over the country adopted them. After that died down, I think people realized there was a market. That’s when it started." Many of the dogs come into New Jersey from as far afield as the Caribbean, Mexico (with diseases) and even China. ''172,113 DOGS NEAR MORRISTOWN, NJ.'' - excerpt from a for-profit website offering out-of-state dogs for adoption in New Jersey.If you doubt that, go to Petfinder.com. That’s a for-profit website run by the Nestlé Purina pet food company. When I ran a search for dogs, I found there were listed "172,113 DOGS NEAR MORRISTOWN, NJ." That’s a big passel of pooches. Where could all those hounds be housed? It turns out many are listed as "coming soon" — often from some place like Georgia or Kentucky. Just fill out a form and you can meet your mutt as he is unloaded from a semi-trailer in some parking lot. Don’t forget dough, and lots of it. The total cost can be as much as $850, said Reichman. As for the real origins of that dog, that’s anybody’s guess. If it’s a Chihuahua, he might even have come from Chihuahua. There are plenty of puppy farms in Mexico, and small dogs are the easiest to get over the border. Dogs from Puerto Rico also end up here, though not always in the best shape. The NAIA site has a story from the Puerto Rico Daily Sun about 107 puppies that died of distemper on their way from the island to the New York area. That points to the real problem with the attack on dog breeders and pet stores, which have been banned from selling dogs in many major cities. Under the guise of reducing the population of unwanted dogs, the traffickers are eliminating competition. In many cities, you can’t purchase a puppy from nearby. But a pooch from Puerto Rico is yours for the asking — as long as you pony up. The only thing that needs to be rescued here is common sense. But that went overboard long ago — and it wasn’t wearing a life preserver. In the two years since introducing the subject of stray importation, (see /articles/archives/redefining.htm) the practice has taken off, with the result that some animal shelters are clearly operating as pet stores today. Whether they acquire their inventory from distant states or foreign countries or territories, they operate like commercial businesses, not charities formed to serve the public good. They acquire their stock at little or no cost, advertise their product using time-tested campaigns against 'pet overpopulation,' rotate inventory quickly, restock immediately and bring in staggering amounts of money. Projecting from figures on the web site of one active shelter, gross revenues from imports that include a constant supply of satos, will total more than $500,000 this year alone! It is also disturbing to see the animal rights party line being used against breeders to justify importation. The national veterinarians association also recognizes the problem. "4. We need to stop buying into the "overpopulation" rhetoric. People want pets and people will have pets. It is a matter of who will supply those pets. We need to focus the public on the value of purebreds over the various doodles and poos and mutts imported from Mexico, Puerto Rico and everywhere else. As long as we talk about "puppy mills" we are missing the boat. Talk about substandard kennels if you like. Talk about conditions. No one approves of dogs badly kept. Talk about diseases brought in by mutts from tropical climates. But don't talk about puppy mills." As for my personal view on animal "rights," I think the concept derives from a basic misunderstanding of the nature of rights. Rights as imagined by the founders are limits on government. My right to free speech is nothing more than a limit on laws that would punish me for speaking. By that standard, of course, animals can't have rights. Only their owners can. And the right in question is the right to do what you wish with your own property. The animal is that property. If I ruled the world, the only laws concerning animals would be those whose owners let them become a nuisance to others by barking, defecating, biting, etc. As for the animal's welfare, that is the owner's business, not the government's. One more thing: Substantial amounts of New Jersey tax dollars are used for animal control. If we're going to pay for this sort of thing we should be paying to control our animals, not animals trucked in from other states and flown in from overseas. written by Paul Mulshine from The Star Ledger in New Jersey.